Tagged under Studio DEEN, Light Novel, Series. Wish the character design was a little bit better, but it all factors into the comedy, surprisingly xD. A hilariously funny and entertaining series. So happy this is getting a S2 ^^ And the second season is off to an equally strong start, that first episode of S2 is how you recap a previous season & set up immediate plot points for the new season at the same time for a comedy series like this.^^ We need a S3. First episode, I was disappointed when they transported to an RPG world because that theme is becoming over-saturated. However! This anime is hilarious, the character definitely make this series because they are a bunch of misfits and outcast in the world so they join forces. 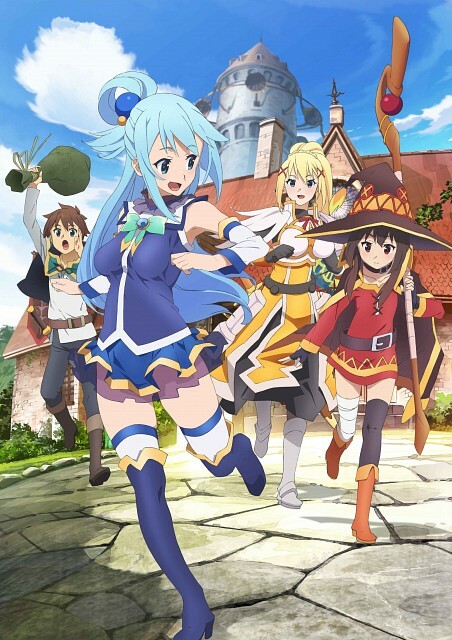 No feedback on Kono Subarashii Sekai ni Shukufuku wo!.